Our Next 6 Week Weight Loss Challenge starts on 11/5. 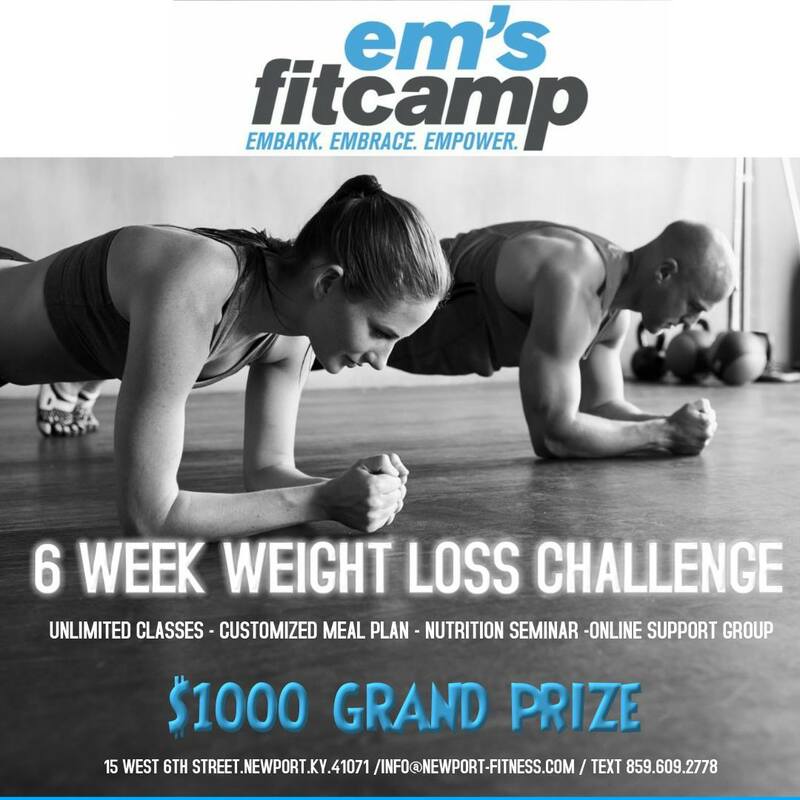 6 Weeks of Unlimited Em’s Fitcamp and Beginner CrossFit Classes. We offer over 7 classes per day. PLUS 2 BONUS WEEKS!! Final weigh-in will be mid December, but you can attend class through December 31st. Customized meal plan with 6 full weeks of suggested meals. An online support group to help answer any questions you may have and to keep you motivated throughout the program. Click here for more information and to sign up! NOVEMBER SOCIAL EVENT: Thanksgiving Potluck at Flying Axes, November 10th at 6 p.m. REMINDER: Yoga is cancelled until further notice.